Since beginning this blog I have been waiting for the right time to recognize Jack Valenti. There is a sentimental background to this posting as I was one of those incidental folks who worked with him tangentially on some media events. I mention that only to allow me to say that Jack Valenti made every individual he touched feel special. In Jack’s world no one was ” incidental.” His respect for all individuals was a basic tenet of his success. Oscar week is the perfect time to remember his memoir This Time, This Place, My Life in War, the White House and Hollywood. His last most prominent professional position was as the legendary CEO of The Motion Picture Association of America. Jack Valenti died in 2007, the very year that this memoir was published. Jack Valenti grew up poor in Texas, put himself through school delivering groceries, graduated from Harvard and joined the Army Air Corps in World War Two. He flew 52 combat missions as the pilot of a B-25 attack bomber based in Italy. Upon his return, Valenti formed a small advertising and public relations agency in Houston and as fate would have it then Vice-President Lyndon Johnson heard about this bright young man and in the summer of 1963 secured his services as an advance man for the Kennedy-Johnson 1964 campaign. Valenti was in the Dallas motorcade on that fateful November day, and flew to Washington on Air Force One to remain at now President Johnson’s side. He became Special Assistant to President Johnson and served as his most trusted confidant. The stories that Valenti recalls in his memoir are historically revealing and personally insightful, including LBJ’s reaction when Jack announced he was quitting to take the job at the MPAA! As MPAA CEO Valenti transitioned into the Hollywood circles with the deftness of the master politician that he was. He accomplished his goals in those treacherous ego filled waters because he was good, trusted and loved. You will travel with Jack , in his element, among the moguls, stars and starlets of Hollywood. The stories are wonderful. He star is on the Hollywood Walk of Fame. I can not recommend more highly this well written and fascinating look at a great American story with all the elements of the child of emigrants working his way to navigate and thrive in the highest levels of the land. It is if course also a special and unique look inside the Johnson Presidency. If you are one who is fascinated by the persona of LBJ there is one other great book that must be mentioned here, Doris Kearns Goodwin’s Lyndon Johnson and The American Dream. These are not ” text-book reads” they are fascinating page turners with characters and personalities as good as in the best novel! A Surprise President’s Week Finale. GRANT! It would have been easy to wrap up my President’s week blog with a most deserving biography, Truman by David McCullough. Few could question that salute. However, Jean Edward Smith author of GRANT will get the honor of closing out President’s Week. Smith’s work is a remarkable eye opener and a re-evaluation of General in Chief Grant and President Grant. Lovers of history understand that time often serves former presidents better than the present. Then again, history is not a science but rather observations of mortals. Smith’s full-scale biography of Grant sheds tremendous perspective regarding his accomplishments on the battlefield and as the first two term president since Andrew Jackson. The detailed study of Grant’s childhood and early life provide the framework for this great piece of historical writing. I must admit that before tackling Grant I had somewhat of a dim view of his presidency based in great part upon popular conceptions. What Jean Edward Smith accomplished so well in this biography was to reconcile many of these popular views with the facts. As just one example, few would remember that following the disastrous Andrew Johnson term after Lincoln’s assassination, Grant did more to help Reconstruction than anyone and the same was true for his efforts to enforce constitutional freedoms to the newly freed slaves as American Citizens. In retrospect, Grant’s accomplishments as president are outlined as remarkable as his on the battlefield! If you love American History, you will do yourself a great favor by heading for the library or Amazon. 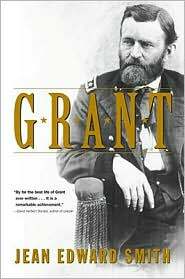 Not only is GRANT the story of his presidency but it is a battle by battle description of Grant’s skilful leadership during the Civil War. Jean Edward Smith is a scholar and you will come away from his book with a scholarly view of Grant at this important time and place in American History. 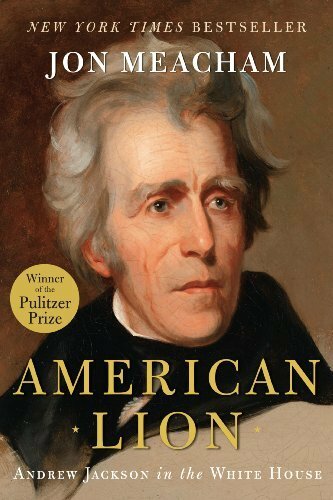 Jon Meacham is back on my blog today with another great book on the American Presidency, American Lion a biography of Andrew Jackson, the eighth President of the United States ( 1829-1837). Reviewers generally agree that American Lion is a definitive work on the Jackson presidency. I will readily admit that I knew little detail about Jackson before picking up this Pulitzer winner and I remain thrilled that it was recommended to me. ” Old Hickory” was one of the more incredible characters to ever inhabit the White House. He was a zealot in his beliefs and in particular hated the Bank of United States which be believed was the basis of past, present and future corruption in America and a threat to the Federal Government itself. He was a staunch states rights advocate, believed in the sovereignty of the individual but at the same time believed that the Federal Government was essential! Despite all of the controversy that surrounds the Jackson presidency he in reality created the foundation of the modern-day Democratic Party. He is considered by historians to be the first ‘populist” president. American Lion is a marvelous journey for the reader and once again Meacham exhibits excellence! No matter how much material Meacham covers, his work is always manageable. 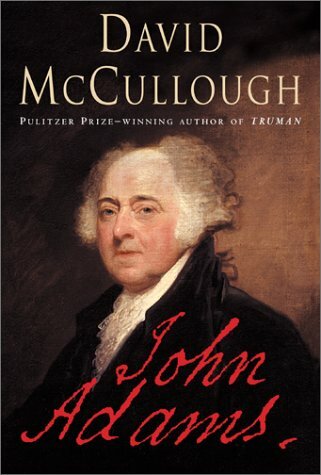 David McCullough’s biography John Adams can be credited with introducing 20th and 21st century Americans to the enormous impact John Admas, from patriot to president, had on early American History including The Revolution, The Presidency and the U.S. Constitution. This magnificent work, incredibly well researched is also a beautifully written story. As one would expect from McCullough, all of the facts are in place, but the story of Adams the person and his relationship with his wife Abigail is truly moving. You will come to understand just how difficult it was to be President of the United States in 18th Century America. You will read quotes from the trove of Adam’s letters both personal and public that are so enlightening about how critical decisions were made. You will learn that the fact that America was born was itself a miracle! Within the pages of John Adams, McCullough portrays beautifully the love story between John and Abigail. He also captures the ruptured relationship between Adams and Thomas Jefferson and the reader is thrilled to learn of the two coming together as friends in the later years of their lives. You need not be a student of history to enjoy every page of John Adams. It is a story about an incredibly gifted man’s love for his country, his wife and family. David McCullough is a national treasure and his generosity in creativity is a gift to all Americans. 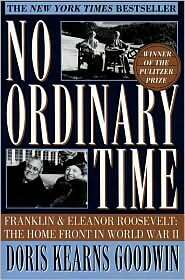 Yesterday we noted Doris Kearns Goodwin’s No Ordinary Time, during our President’s Week picks. 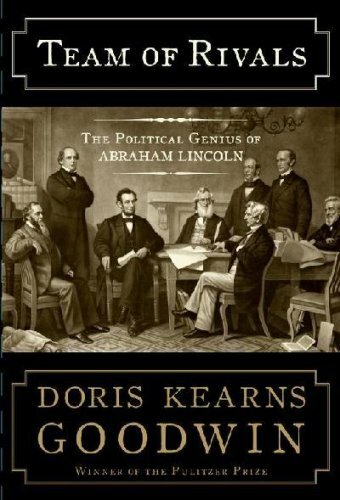 Today she gets another nod with Team of Rivals the wonderfully chronicled story of Lincoln’s bringing into his cabinet his four leading opponents for the Republican Party presidential nomination in 1860. William Seward was named Secretary of State, Edwin Stanton, Secretary of War, Edward Bates, Attorney General and Salmon Chase, Treasury Secretary. What is considered a brilliant move by some historians was not without its acrimony and behind the scenes dealings not altogether helpful to the new president. Goodwin is brilliant in telling this story as it unfolds during the lead-up to the Civil War. It is a wonderful look at this period of American History from inside the president’s cabinet and offers tremendous insight into Lincoln’s thought process during the war. Like to much of Goodwin’s writing and research Team of Rivals is relevant in its lessons for today. It is no surprise that Team of Rivals brought Goodwin another Pulitzer. This Pulitzer Prize for History winner dates back to 1995 but if you love history and have not read this one you have missed one of the best on the Franklin and Eleanor Roosevelt years. The insight that Doris Kearns Goodwin has developed in No Ordinary Time is truly riveting. Linda Gordon writing for the Boston Globe in 2005 said it so very well. ” The Roosevelt marriage is endlessly gripping because it was so consequestial….The reader feels like a resident in the White House.” This volume is one of Goodwin’s very best. You will enjoy every page. It is so relevent and the characters are so vital that you might believe that Franklin and Eleanor were alive today. Beginning on President’s Day, tomorrow, I am going to post my thoughts on books I have enjoyed regarding the presidency. They will not all be biographies or autobiographies but rather some very interesting takes on the presidency itself and how relationships have had lasting impact on our democracy. 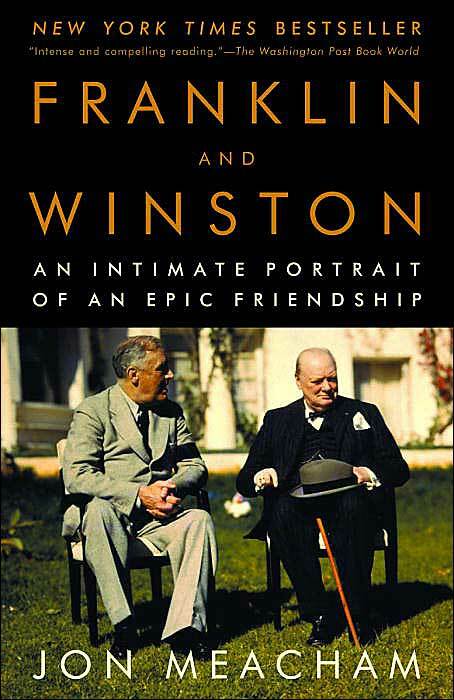 As an example, one of the most fascinating books I have enjoyed regarding the modern presidency is Franklin and Winston by Jon Meacham. This incredible personal relationship may have saved the free world! I would also love to hear your thoughts on great books you have enjoyed relating to the presidency. Just scroll down to the comments and join in.